Fourth Tuesday of the month; unless otherwise communicated. The Leadership Bryan Alumni Association in general meets the fourth Tuesday of the month at 12 noon at Bubba's Bistro. There are speakers on a quarterly basis; otherwise it's an informal lunch for graduates of the Chamber's Leadership Bryan Program who are members in good standing of the RHBC Chamber of Commerce. Lunch is on your own, but RSVP's are required. 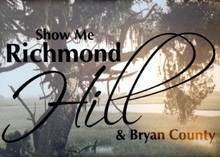 Please contact Brianne Yontz at byontz@rhbcchamber.org or call 912-756-3444 for more information.